« How To Process Images Using Photoshop In Batches? How To Restore Deleted Files on a SD Card? Flash drives and memory cards are the safest and most efficient way to store large amount of data from one place to another. These peripheral devices are gaining popularity day by day due to their effectiveness, mobility and capacity for storing large amounts of data. With constant technological advancements taking place, new and improved features are made available to you. These flash memory devices come with a plug and play facility, meaning that you only have to plug them in your computer or laptop and they will start working instantly without requiring any software or driver installation. People always look for easy recovery methods in order to recover files and valuable information which might have gotten deleted from their flash memory devices. There are many applications available which help you to recover the deleted items from such peripheral devices. 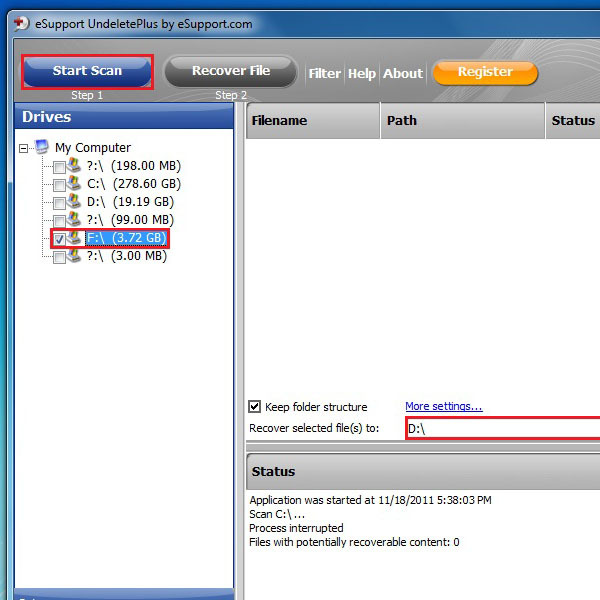 In this tutorial we would be using “Undelete Plus”, an application which restores deleted. Follow these few steps and learn how to restore deleted files on a SD card. 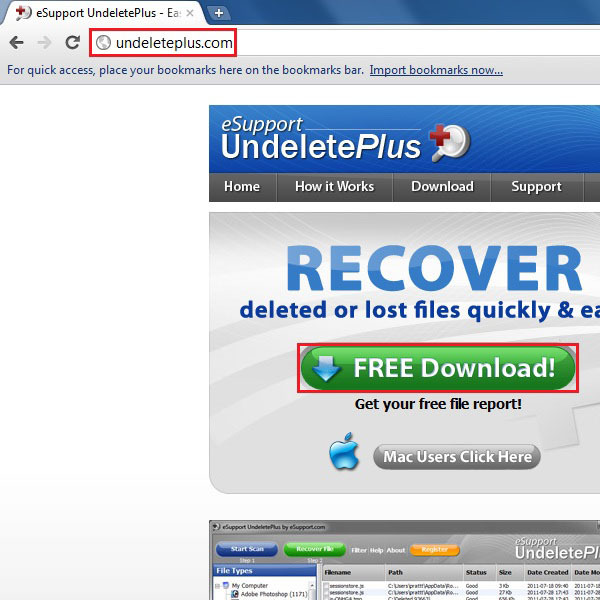 In the first step, go to the URL: www.undeleteplus.com. On the home page you will find the “Free Download” button, highlighted in the image below. Click on this button to start downloading the installation file. Once you have clicked on the download button, your browsers default download manager will prompt a message asking you to either continue with the downloading process or discard the file. Click on the “Keep” button to save the installation file. After successfully downloading the installation file, click on the browser notification, appearing below, and select the “Open” option from the menu. This will begin the installation process of the application on your computer. Follow the instructions from the setup wizard to complete the installation. 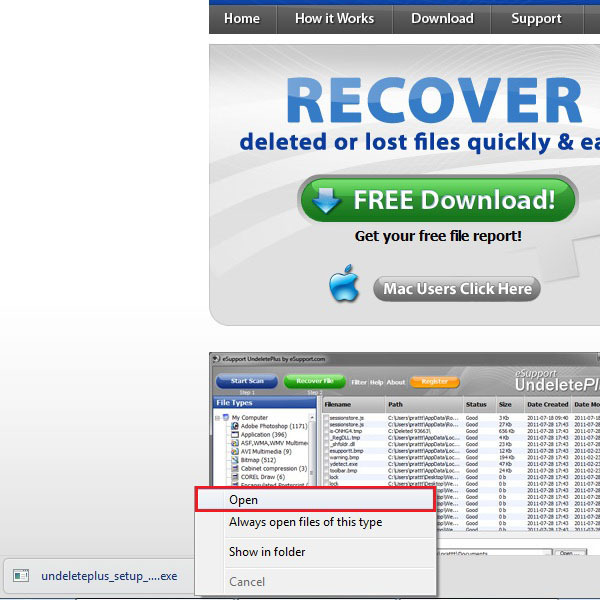 Once you have successfully installed Undelete Plus on your computer, open it by clicking on the shortcut, that would appear on the desktop after the installation has been completed. On the main screen you will find a number of options. First of all, select the location for restoring the deleted files, which is available on the bottom side of the main screen. After selecting the desired location, click on the drive for your SD card from the menu on the left corner of the screen. Click on the check box to select it. After this step, click on the “Start Scan” button, which is available on the top right corner of the window. 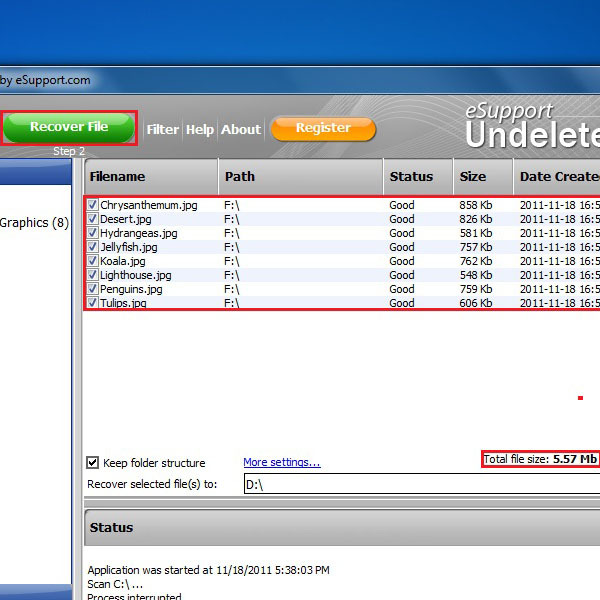 Once the processing has been completed, Undelete Plus will display the files which can be recovered. Select the required files from the list by clicking on the check box next to them. It will also show you the total size of your selected files at the bottom of the main screen. 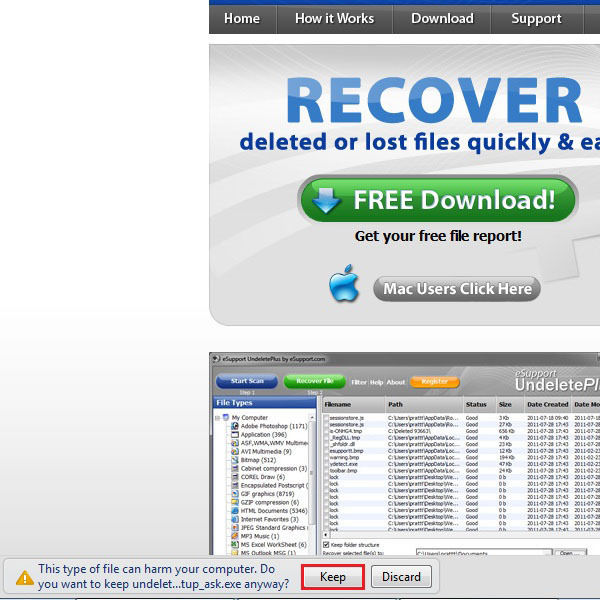 After selecting them, click on the “Recover Files” button to start recovery process.